Special Occasions - Oh Snap! 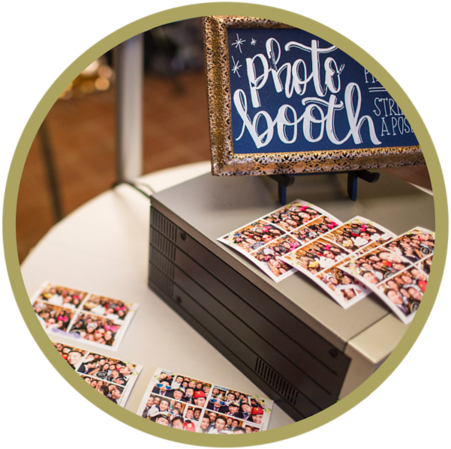 Booth Co.
You’re planning the perfect big bash, so book the perfect photo booth! 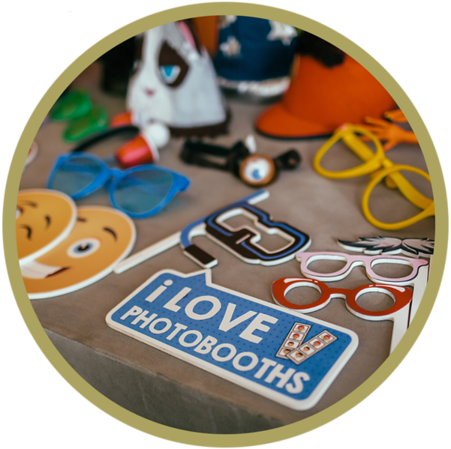 We ensure that our photo booth is a seamless part of your special occasion. Let the experts at Oh Snap! Booth Co. plan and execute all the details of your Birthday, Mitzvah, Quinceañera, Sweet 16, Cotillion or Anniversary because YOU’RE WORTH IT!!! 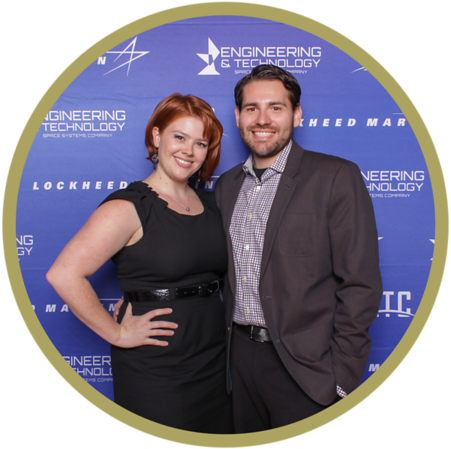 You’ll love our wide array of luxury backdrop choices for your special celebration! 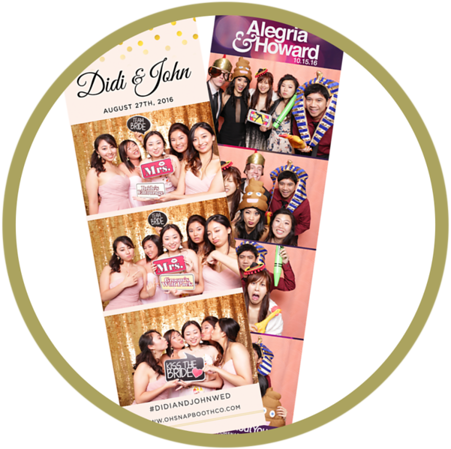 Let our in-house designer help create your very own custom photo prints to complement your party style! We’ll work with you on the details: desired colors, fancy fonts, print layout! 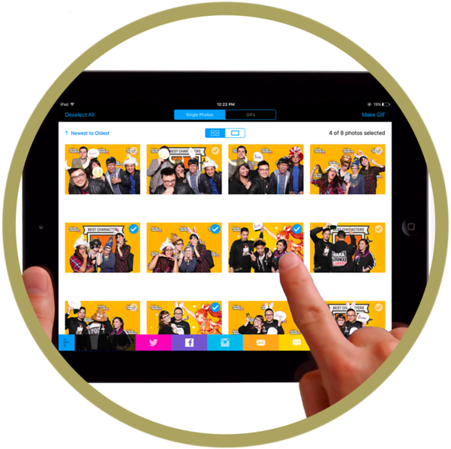 Our open concept booth allows groups to gather for maximum photo booth fun. Each guest in the photo receives a copy on the spot! 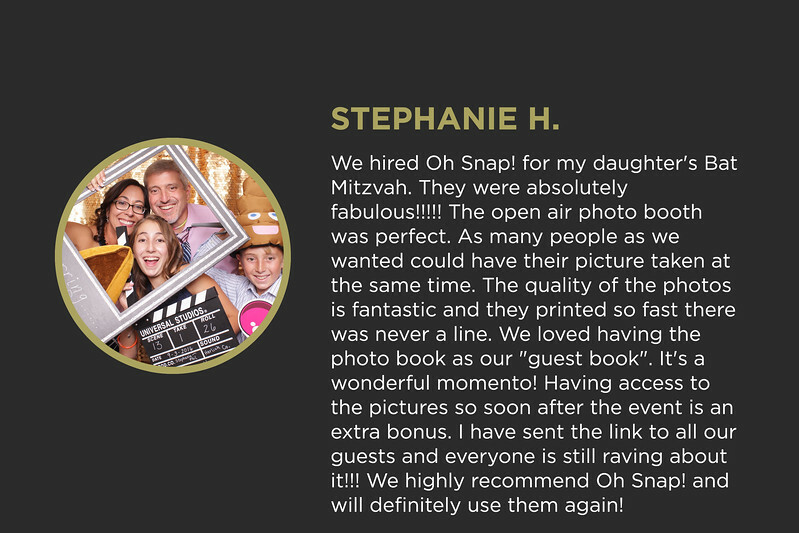 We offer options for your and your guests to immediately share photos via e-mail, text and facebook. Surprise and delight everyone with access to their favorite photos on a private online gallery! Our distinctive leather-bound guestbooks are a top choice at special occasion parties. An extra print will be added to the book and guests are encouraged to write a special message for the VIP! Treasure this keepsake of your special day and how much fun everyone was having! We’ll furnish festive themed props, party signs, zany hats and wacky eyewear, to name a few. Want to take it up a notch? Rely on us to source premium custom props if you have a special request! We have awesome packages for your special occasion available but we know you have ideas too that may not be included in one of ours, so just let us know what you’re thinking and we’ll build one just for you! *UNLIMITED PRINTS INCLUDES UP TO ONE PRINT PER PERSON IN THE PICTURE. At Oh Snap! we strive to go above and beyond by offering you exceptional communication, service and delivery from start to finish. 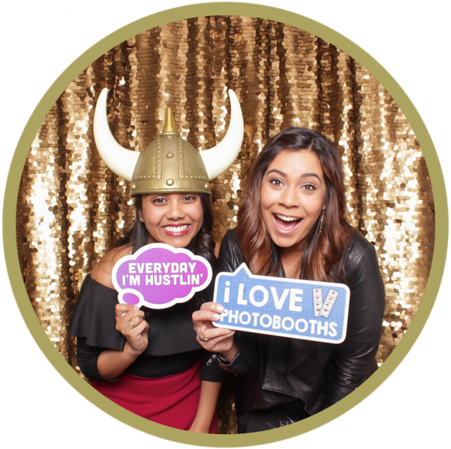 Think of us as the rock stars of photo booth event planning! Owned and operated by a professional photographer, we ensure that lighting and high-resolution photography are a top priority. Our friendly booth attendants will assist and engage your guests for their photo op! 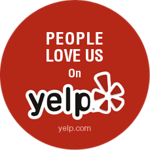 Trust us to give you a smooth event experience. Oh Snap! is well established in the Bay Area, servicing over 150 events per year. Rely on Oh Snap! Booth Co. for full service planning, leading up to your event. We do the leg work, so you don’t have to!